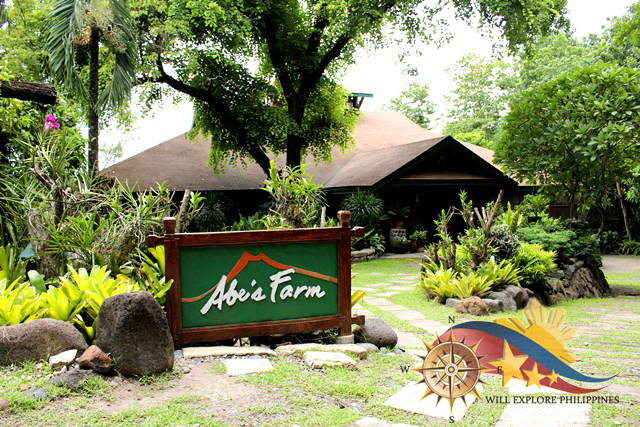 Abe’s Farm in Magalang Pampanga is a place where you can relax and unwind while enjoying the best of Kapampangan Cuisine. 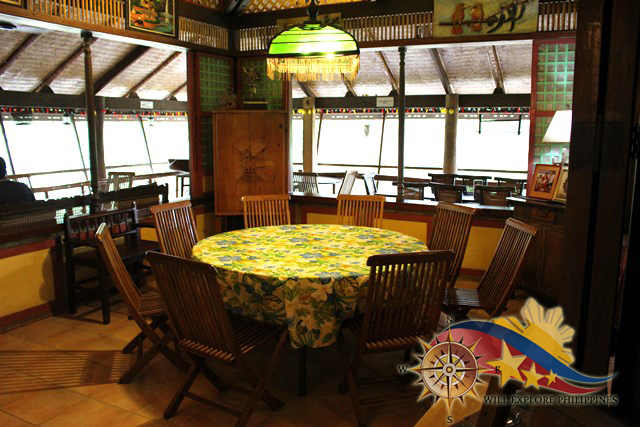 The place is situated in the peaceful town of Magalang with the amazing view of Mt. Arayat. This resort is owned and managed by the LJC Restaurant Group. 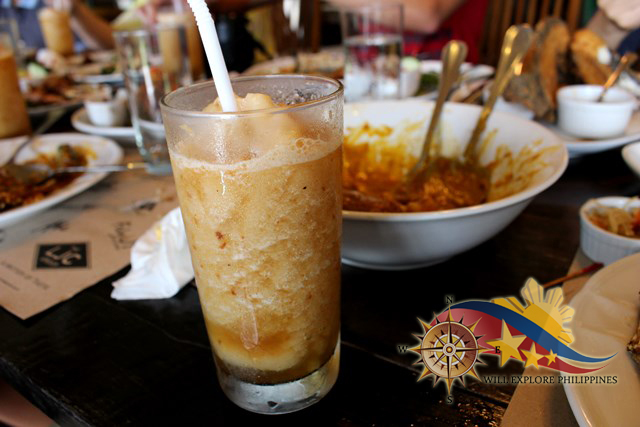 LJC is derived from the initials of its founder Larry J. Cruz , a journalist with a great passion in cooking . Abe’s Farm is named after Emilio Aguilar Cruz,writer, artist and the father of Larry J. Cruz. Abe means friend in Kapampangan. 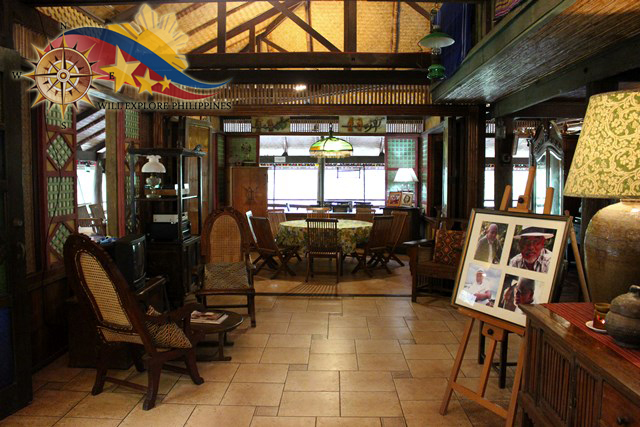 Abe’s Farm like most LJC restaurants is decorated with the founder’s paintings, sketches and other artworks which are signature of the company. It’s amazing how the management maintain the place given its made of wood. 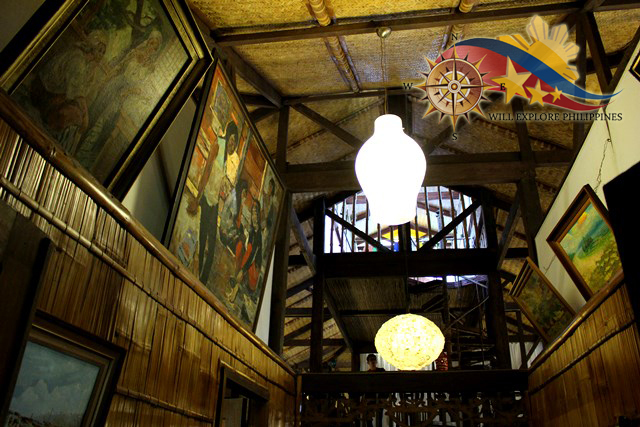 The intricate pieces of arts in the restaurant make this place a house of art and history. 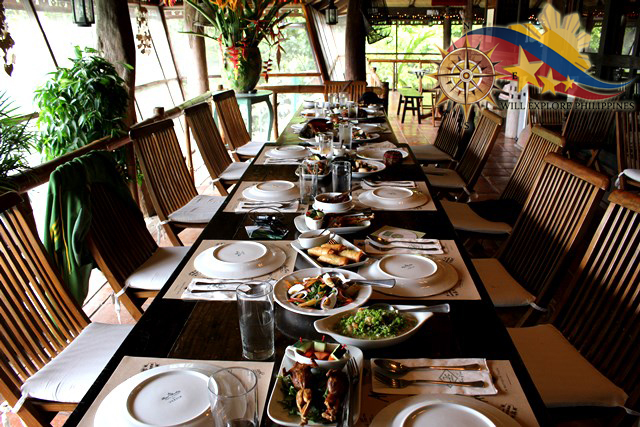 This wonderful place is complimented with Kapampangan Cuisine that is freshly prepared by their chef. We shared the sumptuous meal in this long table with the astonishing view of the farm as cold breeze is blowing, what a very relaxing feeling. 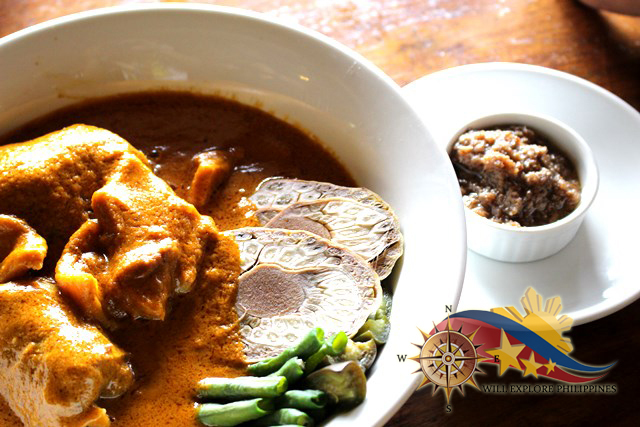 Kapampangan are known to be great cook, they have a keen tongue on tasting the food. 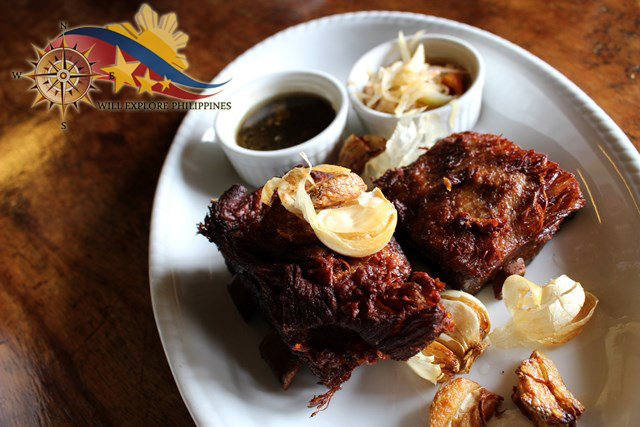 Kapampangan Cuisine is evident through its rich and savoury dishes and a distinct way of cooking called Singkutsa meaning to precook the food before sauteeing. 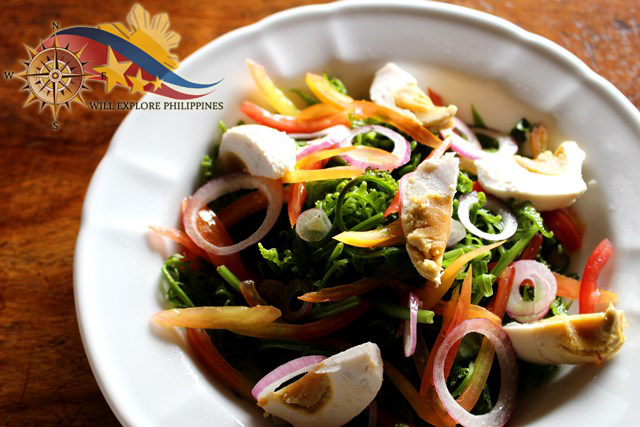 At the farm you will enjoy the following dishes served during our visit. Manyaman! 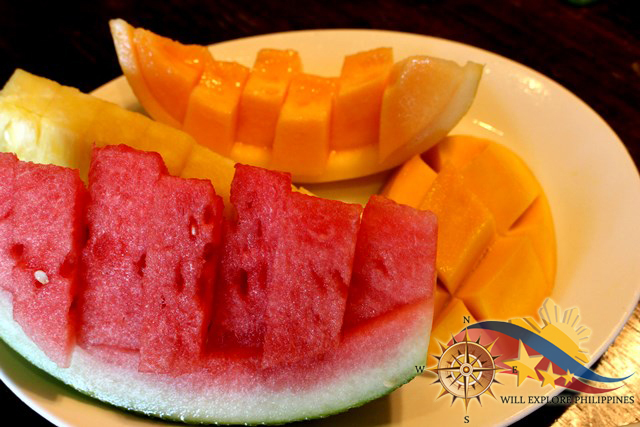 A refreshing dish to start the meal. I love the combination of ingredients from the fresh paco, tomatoes and onions to the tangy salted egg and distinct taste of the bagoong. 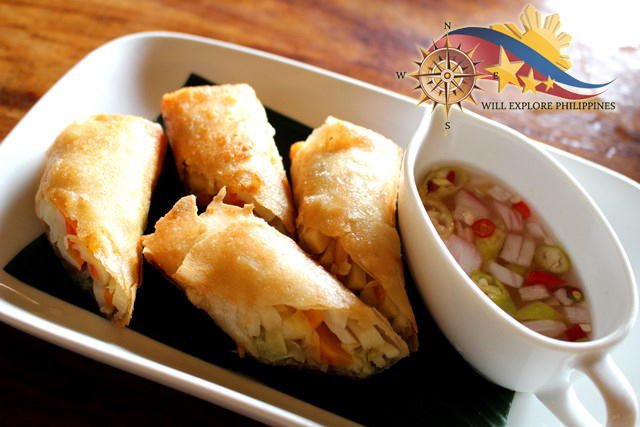 Half cooked vegetables wrapped crunchy lumpia complimented with tasty and spicy vinegar on the side. A good appetizer. Pork adobo perfectly cooked and fried. I love the dish for its so tasty and garlicky. Especially matched with steamed rice or bamboo rice. 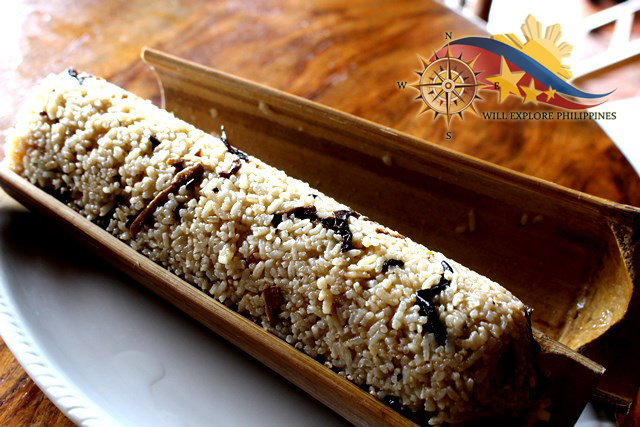 A very tasty fried rice with mushroom and spices put in a bamboo. Nice presentation! Tender beef in creamy peanut sauce. I love the creaminess of the sauce, its very tasty, the alamang on the side compliment the whole dish. 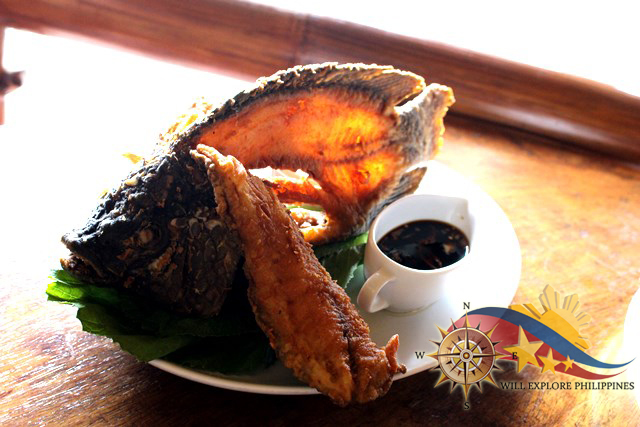 Perfectly deep-fried fish with soy sauce. 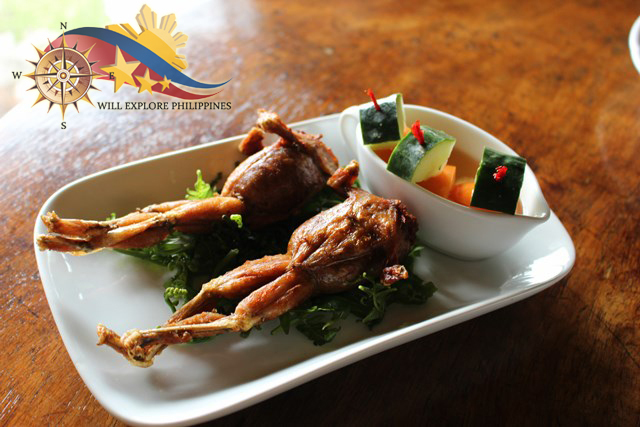 One of the exotic food and delicacy of Pampanga is the betute, its an edible frog stuffed with minced pork. It’s a tastier version of chicken. 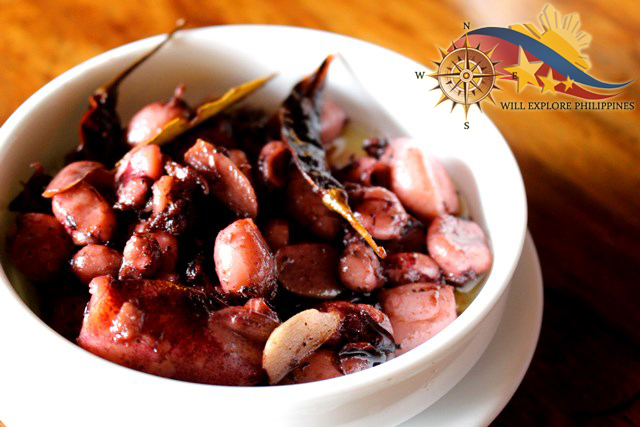 A very tasty dish composed of baby squids, it has the right balance of saltiness and sourness. I love this dish. One of the favorite Filipino dish. 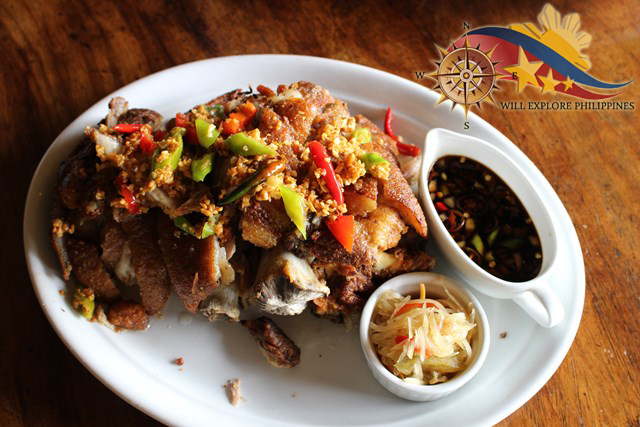 Their version of Crispy Pata is one of the best, the taste is so good and the meat is already separated from the bones, make it easier for us to enjoy this dish. 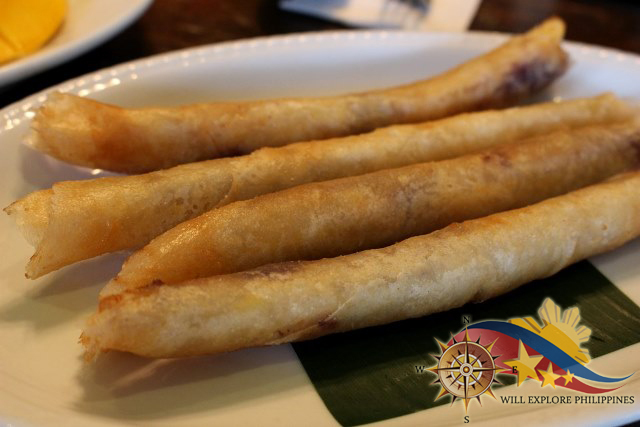 Deep fried banana wrapped with lumpia with jackfruit. A simple ye delicious dessert. 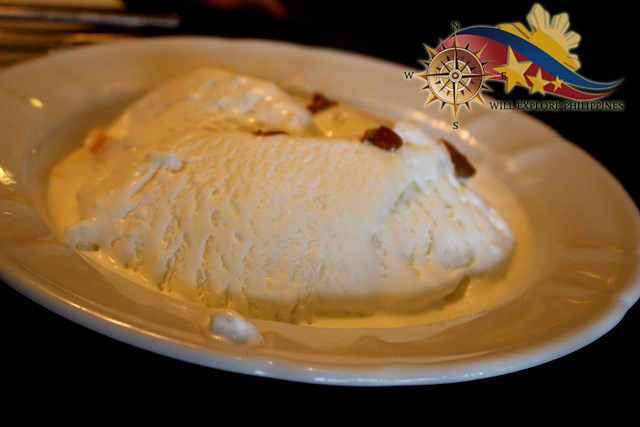 Sumpan with langka covered with vanilla ice cream. We had a great dining experience at Abe’s Farm, the food, the ambiance, a little bit art and history. It’s not your usual restaurant, it’s something that you will intend to go if you want to indulge all your senses. (45 minutes from Balintawak Toll). Follow the Magalang Road leading to town plaza (15 mins). From there, ask directions to Barangay Ayala (less than 10 mins).